Seven Coves neighborhood is located in city of Willis in the zip code of 77318, which is part of MONTGOMERY county. 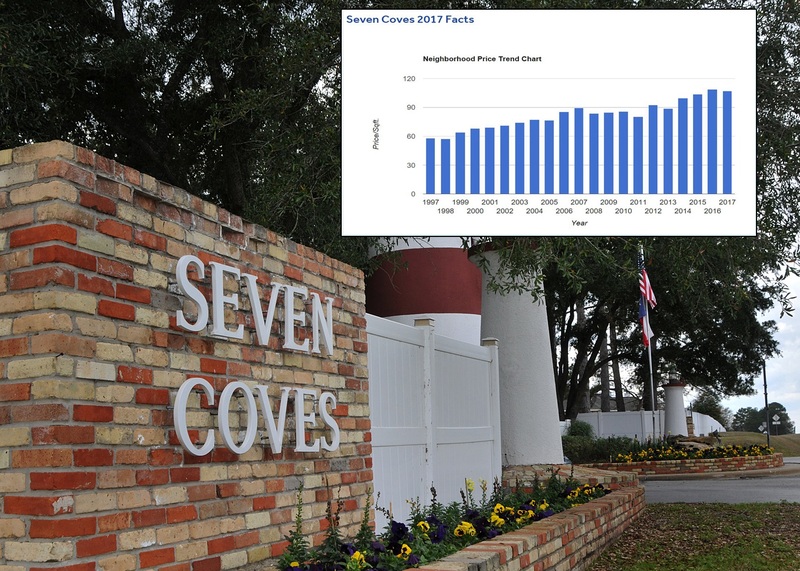 Seven Coves has 653 single family properties with 2,020 Median Square Feet. The median year built is 1998. The home values ranges between $159 - $400 K and you can view the square feed price change data since 1998 in the image above. Not only is Seven Coves a great place to live but it has been this REALTOR's home for over 30 years....I know Seven Coves.